It’s the 6th year anniversary of the Blues Pool Party and the Sands is pulling out all the stops by bringing in a lineup of top blues talent on a national level. 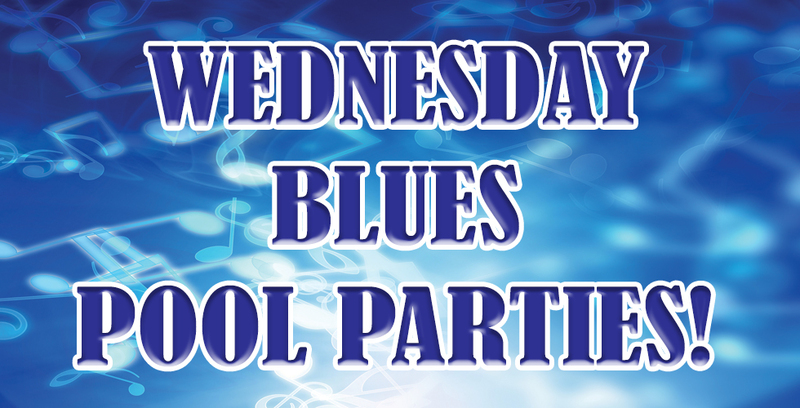 Once again we’ll have live blues music every WEDNESDAY starting on the first day of summer, July 4th and ending on August 29th. It all takes place poolside at the Sands outdoor pool stage from 6-10pm. The Jokers Wild Blues Band acts as the house band and is joined each week by a different special guest artist. Later on in the night they’re joined onstage for an open jam with visiting out of town musicians along with some of Reno’s top blues players and singers. You never know who’s going to show up and each week it’s different. Come sit poolside, enjoy the weather and all the amenities that the Sands has to offer. Line up to follow soon, please check back for more information!